Tag Archives: Ocean Park Blvd. 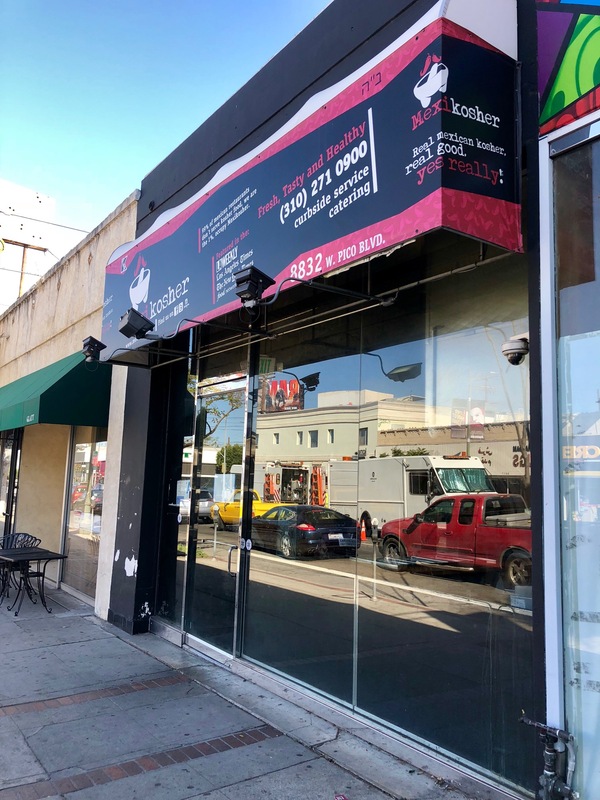 It looks like Santa Monica kale and kabob expert Crimson Mediterranean Cookhouse is expanding westward. An ABC application pasted on the front of the erstwhile Inotheke space, at 606 Broadway suite 101, spills the beans. The name on the application, well-known restaurateur Eiman Shekarchi, confirms that this is an offshoot of the Crimson on Ocean Park. As for Inotheke, a gracious note on the door says that they plan on relocating. Recently, I discovered that popular sandwich spot Carvery Kitchen had vacated its space at 3101 Ocean Park Blvd. in Santa Monica. The space is completely gutted and all signs have been removed. But all is not lost… According to their website, Carvery Kitchen is moving to 8832 Pico Blvd. in LA, previously the home of Mexikosher. I went by to check out their progress. The plucky “Ultimate Deli” had planned on a soft opening April 16th, but they appear to be behind schedule and have a way to go.